PHOENIX. Ariz. – The law firm of Quarles & Brady LLP today announced that Phoenix office managing partner Nicole Stanton has been honored with Support My Club’s first-ever “Community Champion” Award for her work to help the organization ensure Arizona students have the opportunity to pursue their hopes, dreams and aspirations through participation in extracurricular activities. A former Seed Spot venture, Support My Club seeks to connect donors, clubs and sports, and the community with needed items through an e-commerce website. “We thank and honor Nicole Stanton for her generosity of time, donation and advocacy of our mission to support students on their path to graduation by engaging communities to fulfill the needs of school clubs and teams,” said Heidi Jannenga, board chair of Support My Club. The organization honored Stanton on during its Philanthropy Bar 5.0 event, which took place on October 28 at the MonOrchid in Phoenix. According to Stanton, these items can include the donation of memory cards for the Future Business Leaders of America (FBLA), transportation fees for DECA Marketing competitions or courtroom clothes for mock trial clubs at participating high schools throughout Arizona. Recently elected to the American Law Institute as a member and Arizona Equal Justice Foundation board of directors, Stanton will also be honored with the Gay, Lesbian and Straight Education Network (GLSEN) Phoenix Ally Award in November, which is given annually to local leaders who advocate for safe and respectful schools and create positive change for all students, including lesbian, gay, bisexual, transgender and questioning (LGBTQ) youth. In addition to her position as office manager partner at Quarles & Brady, Stanton is a member of the firm’s Commercial Litigation Group. Her experience includes defense of local and national law firms in legal malpractice actions and other business litigation disputes. In the Phoenix community, Stanton also serves as a founding board member and past president of the Women’s Metropolitan Arts Council of the Phoenix Art Museum as well as a member of Charter 100 Women. 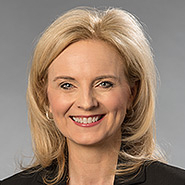 She also is an adjunct professor at Arizona State University Sandra Day O’Connor College of Law, teaching professional responsibility and served as a member of the Business Court Advisory Committee. A graduate of Valley Leadership Class XXIX, Stanton is a recent recipient of the “Philanthropic Leader of the Year” at the 8th Annual Positively Powerful Woman Award and is a past YWCA of Maricopa County’s Tribute to Women honoree, in the Business Leader category. She also was honored as one of the “50 Most Influential Women in Business” by AZ Business Magazine. Support My Club, founded in 2012 by Amy Armstrong, connects the needs of public high school clubs and sports teams to online donors looking to make a difference. Donors can shop through the website to find specific items that speak to their interests. Like a wedding registry for clubs, the donor adds an item to their cart and makes a tax-deductible donation. The items are then delivered directly to the school. Support My Club has helped fulfill more than 1,060 items, and students have performed over 300 hours of community service as a result of those donations. Additional information can be found online at supportmyclub.org.